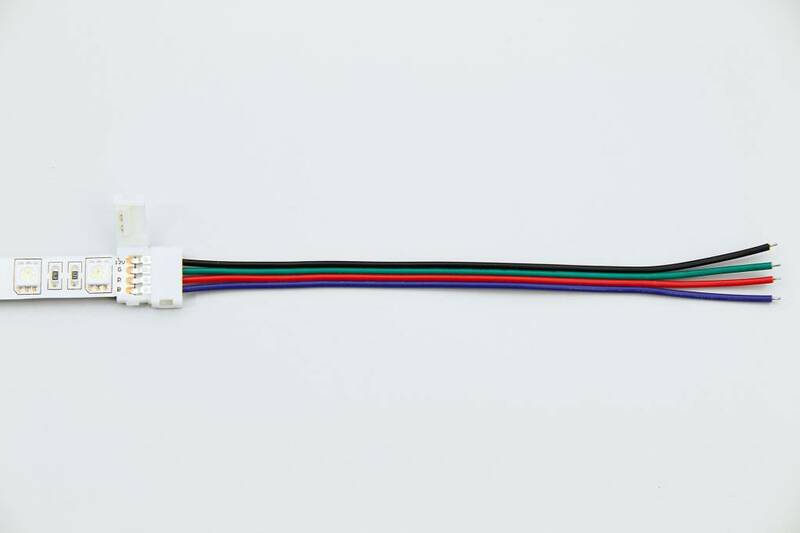 With this connector you can connect a subdivided RGB LEDstrip solderfree to your RGB LED controller. Remove the IP65 water resistant coating, clean the copper contacts thoroughly and slide the ledstrip onder the contact pins. NOT compatible with RGBW LED strips. Suitable for 10mm wide RGB strips.